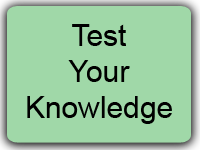 Latest information on the disastrous effects of wind turbines on: wildlife, their habitats, migration routes, livestock, pets, marine animals – and you. In early 2011, the company that owns and operates the 86 wind turbines on Wolfe Island released its first mortality study. After making “adjustments,” the study estimated that the turbines killed 602 birds and 1,270 bats between July 1 and December 31, 2009; an additional 549 birds and 450 bats were killed between January 1 and June 30, 2010. The total fatality toll for the twelve months was estimated to be 1,141 birds, 24 raptors, and 1,720 bats. The huge number of fatalities generated extensive negative publicity around the world, and the Wolfe Island wind installation quickly became known as Canada’s deadliest energy facility. In response to this criticism’ and under the direction of the country’s Ministry of Natural Resources, new “management” procedures were adopted that would supposedly reduce these turbine impacts. Follow-up studies “indicated” that the new procedures for were having a positive impact and Wolfe Island wind turbine mortality was being reduced. I recently was involved in a brief but interesting mini-debate with a colleague over energy production and the environment. Not being an award-winning debater, I took the path of least resistance and came down on both sides of the argument. I have written before urging that opposing elements on various issues such as climate change or immigration reform find a common ground. I also have asked that our leaders listen more to the voices of the middle rather than the extremes on each end. Success in either endeavor has been, well, limited. Nevertheless, I believe that there is a middle ground in the discussion of protecting our environment and keeping the lights on and our vehicles running. This is an interesting tack to take considering that the original decision of the ERT rejected such extrapolations, insisting on case-by-case assessment, when it came to previous Tribunal findings about the harmful effects of industrial wind turbine operations on human health! How bad is the slaughter, really? What tricks does the wind industry use to hide it? A “green energy” wildlife genocide is depopulating wildlife habitats across the world where vital species once found refuge. Wind turbines have invaded these habitats and are devastating bird and bat species. Rather than avoiding these critical habitats or taking steps to minimize impacts on important species, the heavily subsidized wind industry is responding by producing faulty, misleading and even fraudulent documents to hide the serious and growing mortality. This situation has continued for years but has been shielded by state and federal agencies and other supporters of wind power. I’m writing these words in what was formerly one of the loveliest valleys in all of Wales. To be fair, the Edw valley still is pretty spectacular. But this year, for the first time in the decade or more I’ve been holidaying here, I no longer look at the white houses dotting the valley and wish one day that I could own one. Why don’t I wish to buy my dream home in my dream valley any more? Because the greed and selfishness of a local sheep farmer has killed it, that’s why. I’m sure he doesn’t see it that way. I’m sure if you asked him he’d come up with some guff about how he needed to “diversify”, and how it would save on his energy costs and enable him to farm more sustainably. But the fact is that the poxy wind turbine which this ghastly man has erected on a promontory visible from almost every high point in the area – not to mention the bedroom window of our beloved rental cottage – has changed the character of the Edw valley forever. For centuries, millennia even, this idyllic, breathtakingly beautiful spot has survived untarnished by any form of obtrusive industrial development. No longer. With wind and solar farms proposed for protected areas, some environmentalists are taking the awkward position of opposing green projects. Cindy Sutch, who opposes a wind energy development planned for the Oak Ridges Moraine, holds a map of the moraine and the proposed development site. How About Watching Sunsets Through the Blades of Wind Turbines in Lake Erie? 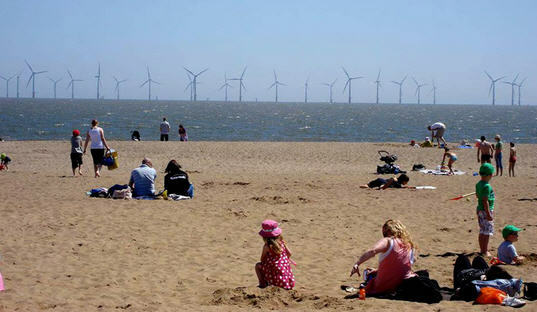 Wind turbines offshore – yes, they want to put them offshore in the lake, too. Won’t those look great? Watch the sun slowly set behind the spinning blades, kinda spoils the moment, don’t you think? For those of you living closer to the lake, you may be surprised to learn our representatives want to build industrial, utility scale, wind turbine installations in Lake Erie. You may have seen or heard of something happening off the shores of Cleveland, Ohio, that’s getting some attention in the news, but you may want to look a little closer to home, they want to put them offshore of Erie County in Pennsylvania, too! 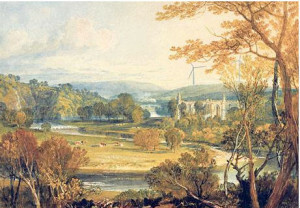 It is a landscape immortalised on canvas by JMW Turner and in verse by William Wordsworth, but Bolton Abbey, in the Yorkshire Dales, could be “ruined” by the construction of two wind turbines. The turbines will each be the size of the London Eye and neighbours fear that the scene will be “irrevocably damaged” and that visitors will be put off going to the beauty spot. The abbey, on the banks of the Wharfe river, is set in almost 30,000 acres of countryside owned by the Duke of Devonshire. Yorkshire Water plans to build the two 410ft turbines in a field overlooking the abbey, which forms the background of a watercolour painted by Turner in 1809, now hanging in the British Museum. The scene was also described by Wordsworth in the poem, The White Doe of Rylstone, after he visited the abbey in 1807. The company wants the turbines to replace four older ones, which are 140ft high. The turbines generate power to keep Chelker Reservoir topped up from the Wharfe and also to pump water to the Bradford area. 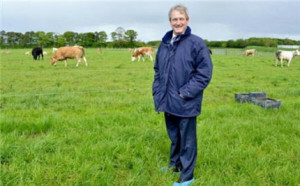 But Patrick Lang, a 79-year-old retired engineer, and member of Parishioners Against Chelker Turbines, said: “It’s an insult to the memory of Turner and Wordsworth. The idea that you can even consider ruining the landscape of an area of such outstanding beauty that it inspired our greatest artists and poets is ludicrous. The Duke of Devonshire could refuse permission for the wind farm to be built, but has decided to let the planning application by Yorkshire Water go ahead. As well as blighting the area, local people said the turbines will make excessive noise and the throbbing and flicker effect of the spinning blades will lead to health problems such as tinnitus, headaches, depression and stress. Yorkshire Water said: “Our proposed investment is part of a wider strategy which is also seeing us invest in hydropower schemes and new combined heat and power plants. Our wind turbines at Chelker have been an established part of the landscape for more than 17 years, providing 15 per cent of our on-site energy needs. 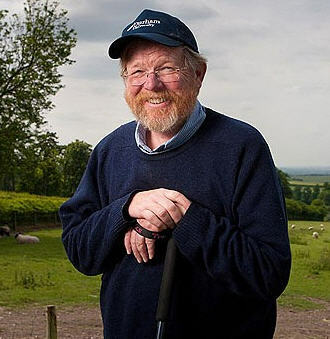 Wind farms will damage the landscape of Britain for “at least a generation”, according to the author Bill Bryson, as new figures show the number of turbines onshore is set to more than triple within a decade. At the moment there are 3,162 wind turbines onshore in the UK, up from a few hundred when the industry first set out 20 years ago. Despite protests around the country, the number being built is set to speed up even further over the next few years with 657 currently under construction and 1,788 approved but not yet built. There are another 2,974 in the planning process that have yet to be approved, meaning the total number will be 8,581 if they are all built. To reach Government targets to generate 15 per cent of energy from renewables by 2020, it is expected around 10,000 turbines will need to be built onshore in the UK. Mr Bryson, President of the Campaign to Protect Rural England (CPRE), said the turbines will destroy the countryside. A CPRE report shows most of the turbines are being built in areas of outstanding natural beauty and much of the planned wind farms are also near national parks or tranquil areas. Two of the most stunning counties in the UK are already reaching ‘capacity’ in terms of wind, according the CPRE. Cornwall currently has 94 operational turbines over 30 metres tall with a further 18 consented and 11 in planning. County Durham has 60 operational turbines, 27 under construction, 19 consented and six in planning. CPRE claim some wind farm ‘clusters’ are where councils have allowed consent, rather than because they are the best spots for wind. Northamptonshire, a county not known for its wind, currently has 13 operational turbines over 30 metres high, and an additional 46 consented and 32 in planning. Amid fears the recent planning reforms will make it easier to build in the countryside, the report calls for a new ‘strategic’ approach to building wind farms in the new local plans and at the Planning Inspectorate. This would force planners to consider the impact on the landscape and the ‘cumulative’ effect of wind farms. The industry should also be obliged to decommission turbines and restore the countryside once farms are shut down, the CPRE urged. Mr Bryson said the CPRE and people in the countryside are supportive of the Government’s plans to cut carbon emissions. But the continuing march of the turbines is turning ordinary people against the battle against climate change because they see green energy destroying the countryside. “The Campaign to Protect Rural England is increasingly concerned that the wave of planning applications for wind turbines across the country risks unacceptable damage to the landscape; to localism and people’s confidence in the planning system; and, ultimately, to the battle against climate change,” he said. However Dr Gordon Edge, Director of Policy at RenewableUK, said planning rules already protect the countryside. He said a recent Ipsos MORI poll commissioned by the industry group found 68 per cent of people in the countryside are in favour of the new technology – just above the number in favour of wind in urban areas. 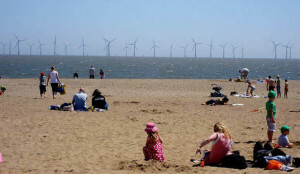 Andrew Pendleton, Head of Campaigns at Friends of the Earth, also said the public are supportive of wind energy. “It’s not surprising that wind power enjoys the backing of two thirds of the population – the clean energy it produces is essential for reducing our reliance on expensive fossil fuels and tackling rocketing fuel bills. “Wind turbines should always be sensitively sited, but one of the biggest threats to our countryside is climate change – and this is exactly what wind power can help defeat. Overall Benefit Permit for Amherst Island improve circumstances for these species in Ontario? "The spectre of global warming and the political panic surrounding it has triggered a goldrush for renewable energy sources without an open discussion of the merits and drawbacks of each. In The Wind Farm Scam Dr Etherington argues that in the case of wind power the latter far outweigh the former. Wind turbines cannot generate enough energy to reduce global CO2 levels to a meaningful degree; what’s more wind power is by nature intermittent and cannot generate a steady output, necessitating back-up coal and gas power plants that significantly negate the saving of greenhouse gas emissions. In addition to the inefficacy of wind power there are ecological drawbacks, including damage to habitats, wildlife and the far-from-insignificant aesthetic drawback of the assault upon natural beauty and the pristine landscape, which wind turbines entail. 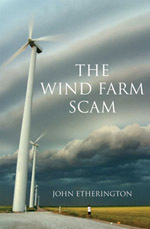 Dr Etherington argues that wind power has been, and is being, excessively financed at the cost of consumers who have not been consulted, nor informed that this effective subsidy is being paid from their bills to support an industry that cannot be cost efficient or, ultimately, favour the cause it purports to support."